Van Gogh, Vincent , 1853-90, postimpressionist painter, b. the Netherlands. Van Gogh's works are perhaps better known generally than those of any other painter. His brief, turbulent, and tragic life is thought to epitomize the mad genius legend. Ten years before his death Van Gogh decided to be a painter. During his lifetime, Van Gogh's work was represented in two very small exhibitions and two larger ones. Only one of Van Gogh's paintings was sold while he lived. 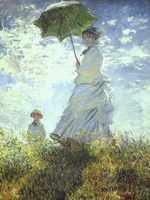 In 1886 he joined Theo in Paris, where he met the foremost French painters of the postimpressionist period. The kindly Pissarro convinced him to adopt a colorful palette and thereby made a tremendously significant contribution to Van Gogh's art. In 1888, in ill health and longing for release from Paris and what he felt was his imposition upon Theo's life, he took a house at Arles. At Arles he was joined by Gauguin for a brief period fraught with tension, during which he mutilated his left ear in the course of his first attack of dementia. 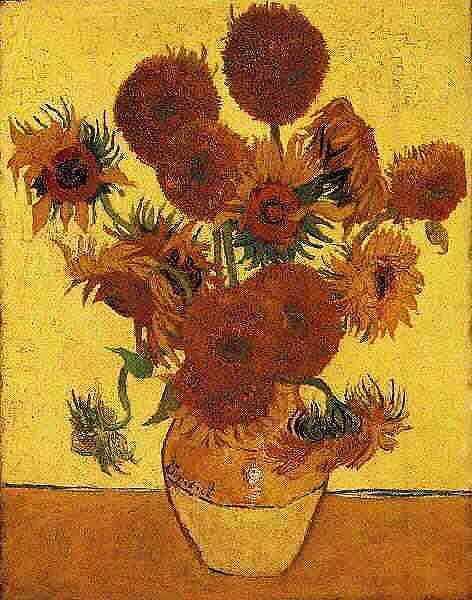 His paintings from this period include the incomparable series of sunflowers (1888; one version: National Gall., London); The Night Cafe (Yale Univ. ); and The Public Gardens in Arles (Phillips Coll., Washington, D.C.). During his illness he was confined first to the Arles Hospital, then to the asylum at Saint-Remy, where, in 1889, he painted the swirling, climactic Starry Night (Mus. of Modern Art, New York City). Van Gogh's last three months were spent in Auvers near Pissarro, painting the postman Roulin and the sympathetic, eccentric Dr. Gachet, a physician and collector who watched over him. Vincent's consciousness of his burden upon Theo, by then married and a father, increased. His work tempo was pushed to the limit; one of his last paintings, Wheat Field With Crows (Van Gogh Foundation, Amsterdam), projected ominous overtones of distress. He despaired and shot himself, dying two days later in the arms of his brother. Theo died shortly thereafter.